We can't all save the world, but we can cheer for our favorite superheroes. This month's Nouveau Geek Box is based around all the heroes we know and love. 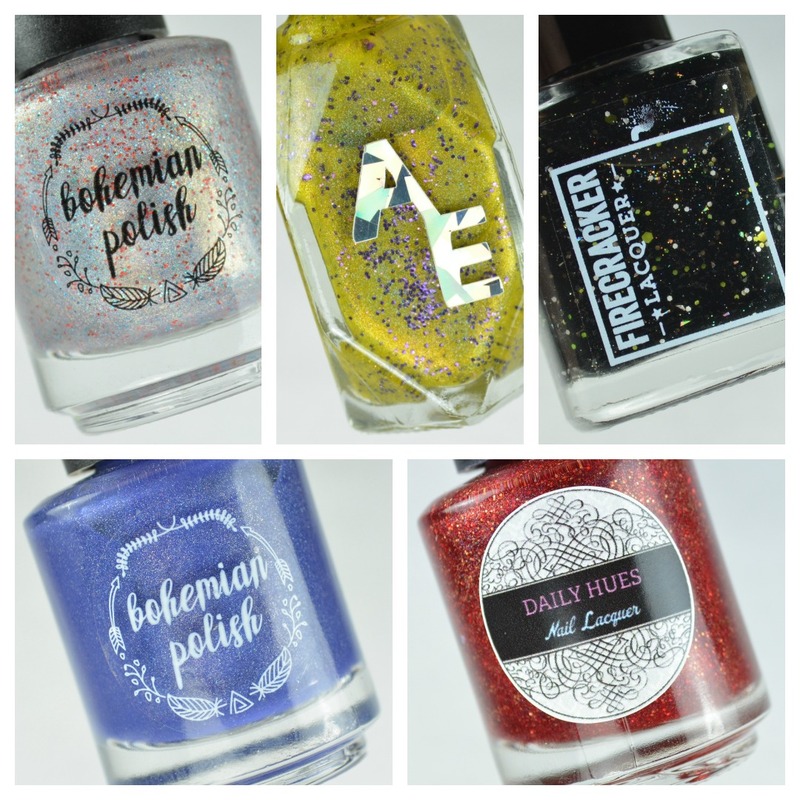 This is a five-piece box packed with full-sized superhero themed polish and superhero goodies. Notes: If this holo goodness wasn't enough I think the gold shimmer really takes the cake. 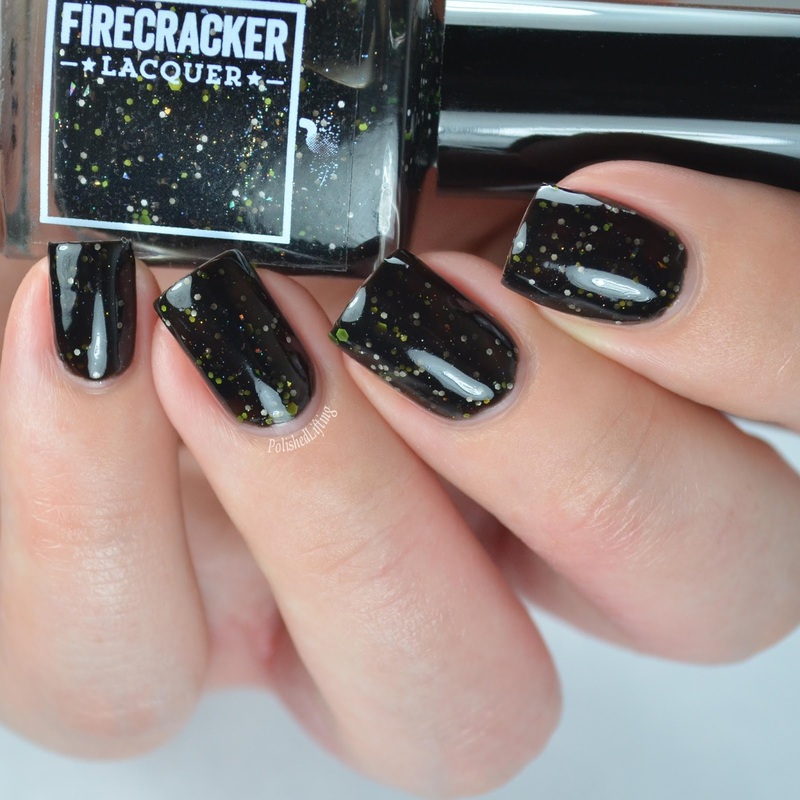 Notes: This one is nearly full coverage with three coats. I think Buffy would be proud. 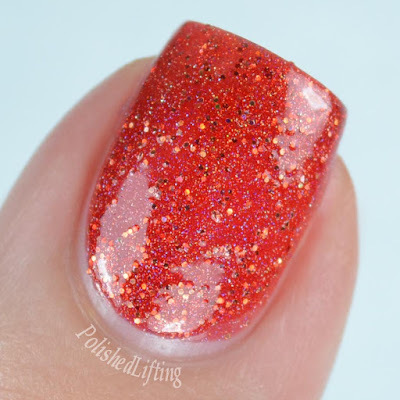 Notes: Batman may not have a holo belt, but at least he can have this holo polish. Notes: This blue holo is nearly a one coater. I think it would be if you apply thicker coats. Notes: The jelly paired with gold glitter is the perfect Iron Man shade. I absolutely adore this representation. 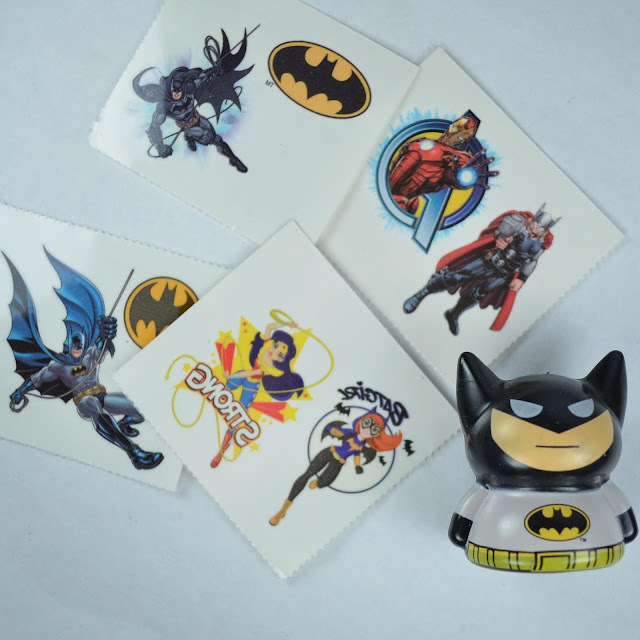 The bonus items for this box include this cute mini Batman finger puppet and some temporary tattoos. I promise I did not may have ran around the house attacking the cats with my new Batman finger puppet. I mean, Batman had to see if he could trade in the Batmobile for a hybrid. He figured that my cat ran on crunchies and wet food, so that must be the economical way to travel. All jokes aside I was pretty excited for the Batman finger puppet. You can purchase the Nouveau Geek Box September Superhero Box starting tomorrow, September 15th. The box retails for $50 shipped domestically, and $60 shipped internationally. Here are swatches of the Harry Potter Nouveau Geek Box in case you missed them.